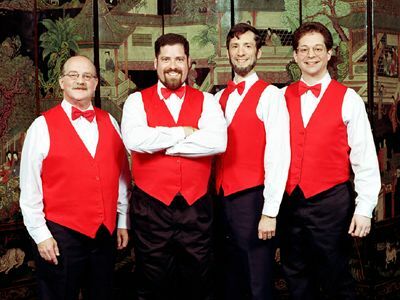 Harmonious Rex is a New York and New Jersey area barbershop quartet. We sing traditional barbershop harmony and other a cappella music. Available for Singing Telegrams, Film, Radio and Television appearances, parties, and corporate events. Appearances on Film, CNBC, NPR, WNYC, and VH-1. © 1998-2016 Harmonious Rex, all rights reserved.